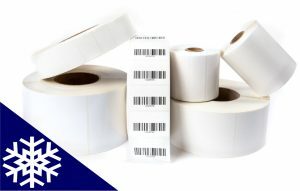 Buckeye Business makes many direct thermal and thermal transfer barcode labels that can withstand harsh temperatures. Our freezer-grade labels are lined with freezer adhesive to provide protection against the cold while allowing the label to stick in any cold environment. 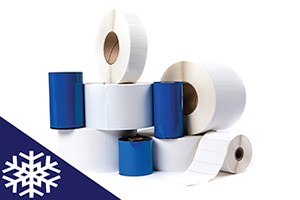 Our labels are perfect for cold storage and will work in a deep freeze, frozen, or chilled environments. Our Freezer Grade Labels have been tested to stand up to -40 degrees Fahrenheit.